Research fellow at the DPRK Strategic Research Center and assistant professor of international relations at KIMEP University in Almaty, Kazakhstan. The Democratic People’s Republic of Korea has been in the news a lot lately, with the DPRK testing new missiles and the United States moving a naval strike group off the Korean peninsula. The commentary almost always revolves around strategic issues, especially North Korea’s nuclear programme. In focusing so narrowly on the country’s military and its leader, Kim Jong-un, however, the debate largely overlooks the North Korean people. First, it perpetuates an image of the country that is not in line with reality. In fact, the younger Kim does not enjoy the kind of monolithic influence held by his grandfather, Kim Il-sung, or his father, Kim Jong-il. Power structures in North Korea began to disintegrate under Kim Jong-il and are now widely ramified. Security apparatuses are no longer under one single point of command; neither are military corps. This is something that the administration of US President Donald Trump seems to be oblivious to, but it should take into account when formulating policy. Second, and most important, the world’s myopic attention to Kim Jong-un precludes recognition of the nearly 26 million people that live in the country. They represent the true issue at stake, once the current regime – which is living on borrowed time – is gone. What do we know about DPRK and its people? Oddly enough, since the early 1990s the international community has accumulated a larger knowledge base on North Korean society than intelligence agencies have ever had on its military. Yet, most media insist on reporting obsessively on the latter. This is shortsighted. The questions we ought to ask instead, if we are to understand where the country is headed, are: What is the current state of North Korea? What do we know about its society and economy? What kind of country will emerge once the regime is gone? These questions matter, because with each crisis, the possibility of regime change or collapse becomes more real. With that, the risk of a humanitarian catastrophe increases, and neither South Korea nor China are well prepared to respond. North Korea represents an anomaly, for both aid organisations and experts of international politics. But things are changing. For a long time, the country may have deserved its moniker of the hermit kingdom. But today, after 22 years of humanitarian assistance and development, the DPRK is an aid-dependent country, stuck in a paradoxical situation. Its economy crashed in the mid-1990s and never recovered, while its social indicators went from good, to terrible, to decent over the last two decades. The North Korean development indicators for children’s welfare, as well as immunisation and education, are well above countries with a much higher GDP, but the economy does not reflect this relatively healthy development status. The DPRK produces very little of value, and its people find survival in the black market rather than state-provided jobs. North Korea, in other words, has the economy of an underdeveloped country, with levels of social development of a middle-to-high income country. It is time to take a look at the country beyond military parades. How did North Korea get so poor? Upon the demise of its first leader, Kim Il-sung, in 1994, the DPRK faced a combination of domestic and international factors that negatively affected all sectors of society and state institutions. External circumstances included the loss between 1991 and 1993 of its main allies and economic partners, the Soviet Union and China. In addition, in 1993, China started to demand payments at regular market rates for oil and fuel, which had until then been provided at very low prices and constituted the main source of energy for the DPRK. In this rapidly changing international scenario, the DPRK, which had become heavily dependent on subsided trade with its former communist partners during the Cold War, found itself with no economic safety net. At the same time, the country was hit by a series of droughts and floods, along with a sudden shortage of energy sources. This devastated an agriculture system almost entirely dependent on chemical fertilisers and mechanised irrigation. With diminishing amounts of food, the effectiveness of the Public Distribution System that regulated the allocation of basic goods decreased gradually, forcing the population to seek alternative means of subsistence. Housewives, factory workers, doctors, nurses, teachers and students alike had to fend for themselves in order to secure food and heating material during winter. The crisis caught many North Koreans by surprise, and it was aggravated by economic mismanagement. It should be noted that the Public Distribution System did not collapse altogether, but the degree of functioning of the system varied between different provinces. Between 1994 and 1998, GDP declined by almost half. This, in combination with the progressive dysfunction of the PDS, severely reduced access to food, medications, and primary goods, leading to a famine and to the general deterioration of the population’s ability to withstand further calamities. Today, it is safe to say that, in effect, China runs North Korea’s economy. Chinese currency is widely used in the unofficial markets that have mushroomed around the country since the crisis of the mid-1990s. China gets the lion’s share of trade with North Korea and provides the bulk of its food and energy. Luxury items, if and when they manage to come into the DPRK, do so from across the border region of Yanbian or Chinese ports. To be sure, North Korea does have a few economic niches, but these too are largely influenced by China’s presence. The DPRK’s significant mineral resources are almost exclusively exploited by Chinese companies, and Chinese visitors make for the majority of customers in North Korea's trade fairs and Special Economic Zones. In other words, simply by looking at the economy of North Korea, one could surmise that as long as China is there to support it, the country could muddle along with no substantial changes for a very long time. 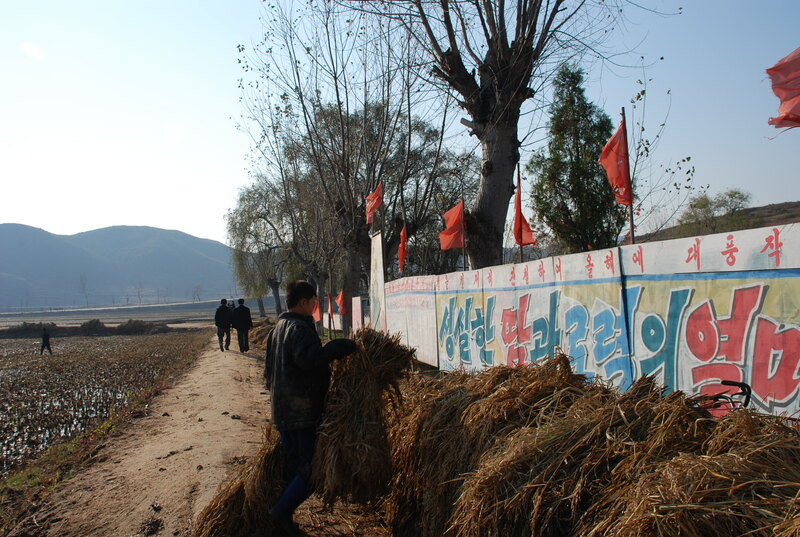 A look at North Korean social indicators, however, offers a different perspective. The key indicators of a country’s state of health and future prospects are its social statistics, particularly those on demographics. According to combined data from the Central Bureau of Statistics in Pyongyang, the World Bank Institute, and the UN gathered in 2008, and data by UNICEF gathered in 2014, the DPRK’s average population growth rate for 1990-2004 was 0.9 percent, or equivalent to that of upper middle-income countries. The same data provide trends for 2004-2020 that place growth at 0.4 percent, or equivalent to that of high-income countries. At the same time, North Korea’s birth rate dropped to 16 per 1,000 people in the late 2000s – the level of middle-income countries – whilst the fertility rate is slowly approaching the levels of most Western countries. It sits between parity – two children, which is the minimum requirement for a population to continue replacing itself over time – and one child or none per couple, which is deemed not enough to avoid extinction in the long run. The latter is where Germany, Italy, and most EU countries are at present. What does this mean for the future of North Korea? If we read population increase as an indication of economic and social stability, the DPRK looks further removed from the so-called “failed states” it is often compared to – like Somalia, Yemen, or South Sudan – which are all on the verge of famine (or, in the case of parts of South Sudan, already experiencing it). North Korea is in fact undergoing the same "cradle crisis" that characterises advanced countries, from Japan to Germany. However, the same statistics, viewed from the standpoint of overall death rates and infant mortality rates suggest the DPRK is right there with low-income countries. Its average death rate is as high as 11 per 1,000 people, and rates of infant mortality that have not yet fully recovered from the 1990s crisis. This has a number of implications: North Korea doesn’t have the problems that South Korea has at the moment, with an increasingly aging population placing stress on the social welfare system. As a matter of fact, the DPRK welfare system has been simply downsized and slowed to a minimum since the 1990s. Today, North Koreans live on average six to eight years less than South Koreans and about nine years less than the Japanese. In Malthusian terms, this means that the government has less to worry about in the short-term. Considering the chronic economic stagnation, most North Koreans alive today could well get old before they even have a chance to elevate their economic status. At the same time, with a slow but steady recovery from the famine and the crisis of the mid-1990s, the DPRK seems to have reached a level of relative social comfort at which most middle-to-high income countries stop having enough children for the maintenance of native population. At this stage, they will slowly begin to fade out unless they adopt open immigration policies – an option that is unpopular in South Korea and Japan, and next to impossible in the DPRK. If the trend continues – and the figures from 2008 and 2014 suggest it will – North Korea may one day run out of people to maintain its workforce. That would be one more reason for the regime to push towards reunification. While its rival state south of the demilitarised zone is also growing older, it is still twice as populous, and immensely richer by comparison. Still, if nothing changes at the economic level, any effort of reunification will require the equivalent of a mini-Marshall Plan for the entire peninsula. This is the real North Korean conundrum: The country has faced challenges it is hard to imagine any other regime surviving: famine, floods, droughts, economic collapse, energy shortages, sanctions, and leadership changes. This has left a North Korea that is a mass of contradictions. Few consider that the country making headlines for its nuclear technology has a basket case economy, but also one of the highest literacy rates in the world. There is no other country with such low economic indicators that can at the same time build and at test nuclear devices and achieve universal literacy, while still being aid-dependent. To explain the North Korean anomaly, we have to look at the nature of aid itself with three key questions: What is aid? Why is aid provided? Is it accomplishing what it is supposed to? From an economic perspective, we can think of aid as a measure of socioeconomic welfare, like the one used for families and individuals, but on a much bigger scale. Welfare policies are supposed to work as a safety net in times of emergency – fostering growth and preventing recession when families and individuals go through hardships. At any rate, welfare is conceived to be a temporary measure and aid doesn’t come for free. Aid represents an extension of foreign policy from donor states to recipient nations. Donors and international organisations expect recipients to correct their course and adopt policies that move them towards a free market economy, and adherence to international treaties on human rights, environmental protection and sustainability. North Korea has become chronically dependent on aid since the mid 1990s. Yet, it has remained impervious to outside pressure for change. When it shows any degree of compliance with international norms, it does so only in fields where its interests converge with those of international organisations. Education and environmental protection are two examples. On the other hand, North Korea has no relationship with global economic bodies like the World Trade Organization and the International Monetary Fund. It makes no concessions on the issues of nuclear proliferation and allows no inspections from human rights organisations. But its population does require foreign assistance in order to survive. The socioeconomic emergency that swept the country between 1995 and 1999 was rooted in a combination of political, climatic, structural, and geopolitical factors. By 2005, the government declared the food emergency to be over and asked a number of NGOs – but not UN agencies – to leave. Nevertheless, the country has continued to rely on foreign assistance, just as the UN agencies at work in the DPRK kept monitoring a situation that requires periodical emergency assistance, year in-year out, in combination with development programmes. If North Korea were a family, or an individual who has been in need of aid for 22 consecutive years, would this be considered normal? It’s unlikely. Yet, aid needs to reach the people of the DPRK on a yearly basis or a new humanitarian emergency may break out, according to the UN. There is a consensus among humanitarians that as the North Korean people have no say on their government policies, they should not be the ones suffering the consequences. Therefore, the international community has responded with aid. However, a look at what North Korea has become since 1995 reveals that aid has not made North Korea strong enough to stand on its own. This is the most pressing problem with North Korea, aside from its periodically aggressive military posture. The country needs aid because what once was a functioning infrastructure for a command economy, in which the state plays the primary role, has ceased to exist. More than this, it needs important economic and political reforms. Currently however, North Korean politics withhold economic restructuring and growth. At the same time, aid agencies and donors tend to look at technical issues and do not tackle the lack of political decisions that could steer the country away from perpetually looming humanitarian disasters. Aid has been invaluable in pulling the country out of the humanitarian catastrophe of the mid-1990s, and it has helped North Korea maintain decent levels in development indicators such as health and education since then on. But aid cannot help the country provide a decent standard of living on its own for its people. That can only be done through political reform. The real political story about North Korea today is that the "Stalinist fortress" – the impenetrable polity devoted to hardline communism – is no longer Stalinist, nor a fortress. North Korea scholars and South Korean government experts concur in saying that Kim Jong-un holds a fraction of the power that his father and grandfather wielded. The elites that have emerged from two decades of black market activity are aware that there are only a few obstacles to a reunification that could see them prosper, while lifting millions of North Koreans out of poverty. These factors are their "political guilt" (for they contributed to keeping the country in a state of repression over decades), and the risk of losing whatever wealth they have accumulated. If the United States and South Korea could agree to leave some of these families in power, providing them amnesty, they could ask in return for a soft removal of the Kim family, and open the door for a gradual economic rebuilding of the country. Financial incentive, or the lack thereof, in North Korea is the key issue. The average annual income in North Korea is a little below $1,000. In the South, it is over $30,000. No amount of foreign aid can ever bridge this difference.